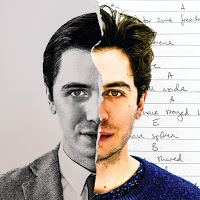 West End star Nadim Naaman has announced further details for his second album entitled Sides and revealed plans for an album launch concert. It is a double-length album featuring nine original self-penned songs and nine musical theatre numbers from writers and shows which have shaped and influenced Naaman's career so far and will be released with independent label Auburn Jam Records on 20th June 2016. Nadim is currently starring as Raoul in The Phantom of the Opera. Other musicl theatre credits include: Titanic (Toronto/Southwark Playhouse), Sweeney Todd (Harrington’s Pie & Mash Shop), One Man Two Gurs (West End), The Sound of Music (West End), Chess (Union), Marguerite (Tabard), Thirteen Days (Arcola), Knight Crew (Glyndebourne), James and The Giant Peach (Watermill) and The Last Five Years (Pleasance). There are collaborations on the album with: Rob Houchen (Titanic/Les Mis), Eva Noblezada (Miss Saigon/Les Mis), Jeremy Secomb (Sweeney Todd/Les Mis), Celinde Schoenmaker (Phantom/Les Mis) and Laura Tebbutt (Forbidden Broadway/Love Me Tender). It will also feature a bonus track of the previously released ‘A Soldier’s Christmas’, written by Naaman and performed with former Phantom Gerónimo Rauch. The album launch concert takes place at the Hippodrome on Sunday 19th June 2016 at 3:00 pm. Naaman will be joined by an 8-piece band led by musical director, and the album’s producer, Joe Davison with special guests including Rob Houchen, Jeremy Secomb, Celinde Schoenmaker, Laura Tebbutt and Will Barratt. 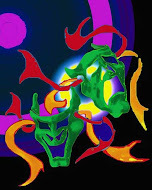 A limited run of CD copies of Sides will be released, which can be pre-ordered now from Auburn Jam Records. Sides will be available for download via all major online retailers from 20th June. Tickets for the album launch concert are on sale now.